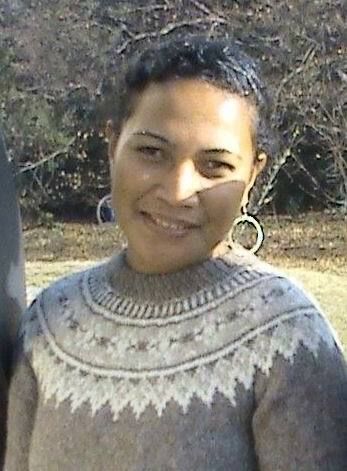 Jenta Tau from the YWCA of Solomon Islands is one of the new World YWCA intern for 2011. She shares with us her thoughts and her experience in Geneva at the World Office. Hello, Bonjour and Gud fala da lo ufala evriwan. I have recently arrived to Geneva. I left Honiara, Solomon Islands, and travelled for three days (by plane) to finally reach Geneva and begin my one-year internship with the World YWCA. The opportunity to travel this far to a foreign land was just a miracle to me! Geneva is completely different from the Solomon Islands. To begin with, Geneva has 4 different seasons, which is very unusual for me. When I arrived, Geneva welcomed me with a freezing winter kiss, and I wrapped myself tightly in my warm coat. Imagine coming to a real winter after spending your whole life experiencing humidity, rain and hot weather all year long! There is also a very big difference in terms of food, culture, architecture, living standards and the lifestyle. Geneva is known for being a unique and very diverse multicultural city. It is well organised and developed in terms of infrastructure. It is a wealthy city, filled with international organisations and banks. It is also an expensive city. The people, too, are different from what I am used to. They are formal and everyone is on time. In my culture people are more relaxed about time, but here if you are 1 minute late, then you are late! So, I am learning to walk fast and to pay close attention to the time. Joining and becoming part of a new family – the World YWCA Office in Geneva – has been a wonderful experience for me. I have felt very welcome and I do feel that this place really is a safe space, a space that will allow me room to grow, yet will be with me every step of the way, offering care and support as I need it. I am excited to share what I know and I am excited to learn and to contribute to the work of the World Office. This year the World YWCA is working on a very tight schedule and a heavy work load as we prepare for the World Council and International Women’s Summit in Zurich, Switzerland, in July 2011. It is sometimes challenging to keep up with all the many activities and new developments, but always the morale and camaraderie is present and the staff members work together with a good team spirit. I am excited about the many important events that I will participate in during my time in Geneva. One such event is International Women’s Day (IWD) on March 8. The World Office will be celebrating this day and will stand in solidarity with its international partners, stakeholders and friends. The World Office is organising a Reception to celebrate the 100th anniversary of IWD, and I am looking forward to meeting the friends and partners of the YWCA, to building relationships and strengthening networks. Although I have been here a little over a month, my experience at the World Office in Geneva thus far has already been a great blessing. It is an once-in-a-lifetime opportunity to observe and to learn from the expertise of these great women leaders, and to be able to do so in a safe and nurturing space is also special. Everyday here, both at work and out, I am learning new things, and while I know that there will be many challenges, I am sure that this will be a very productive and meaningful year for me.